Drawing upon ten years of research experience, the master scholar James D. G. Dunn presents a book on a major issue in the study of Christian origins: what were the attitudes toward Jewish law within earliest Christianity? This volume not only gathers the author's significant contributions to date but also includes new material. Divided into nine parts, it is set in the wider context of a living dialogue and debate. The introduction maps out Dunn's extensive work in Pauline and Markan studies. 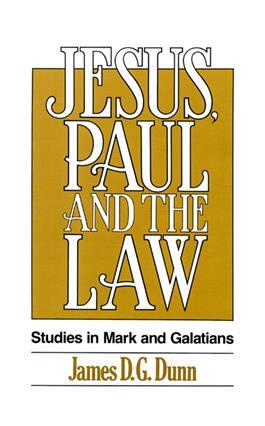 The final chapter, "The Theology of Galatians," serves as a summary of Dunn's current position on Paul and the law and brings the volume to a convincing conclusion.